AN ACCRINGTON-based haulage firm is enjoying continued success after industry accreditation and the opening of a brand-new warehouse. 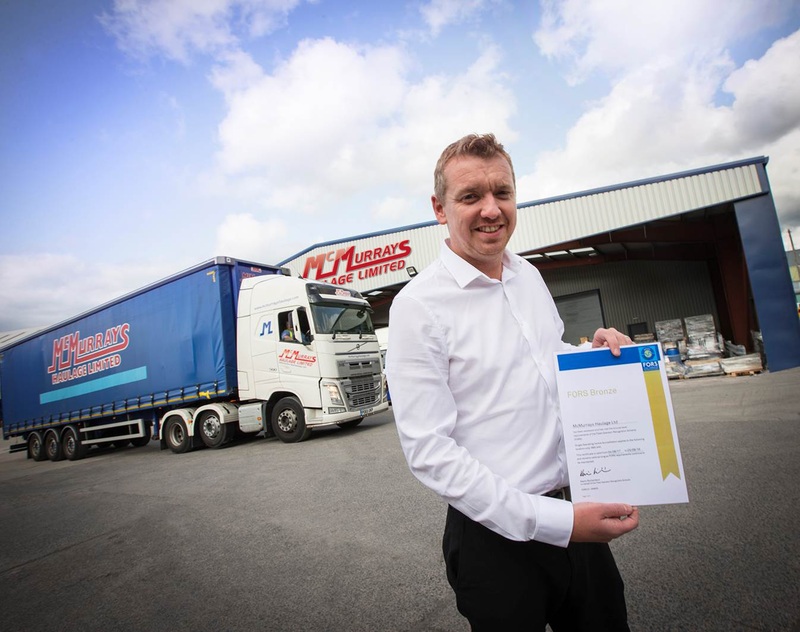 McMurrays Haulage Limited, operating out of Bridge Street, Church, Accrington, has seen an impressive period of growth recognised with a prestigious industry award. The family-run firm, which has seen a 36% increase in staffing numbers over the last two years alone, has been granted the Freight Operator Recognition Scheme (FORS) Bronze Award. The award, which recognises all aspects of a company’s safety, efficiency and environmental protection, is the industry standard for best practice across the European fleet industry and accreditation can open the door to new business, particularly from some of Europe’s largest companies who will only deal with a firm who has achieved FORS. The FORS award has come at a buoyant time for McMurrays, having recently opened a brand new warehouse to cope with additional demand, expand the company’s pallet network operation and to diversify. The warehousing side of the business, grown following a £750,000 expansion project, includes a 16,000 sq. ft. warehouse and transit shed on the 5.2 acre site. Established in Oswaldtwistle in 1971, McMurrays Haulage provides a wide range of transportation services to customers in the UK, Ireland and Europe. The business always goes the extra mile to provide its customers with a reliable service in modern vehicles, aided by logistics technology that allows their customers to track deliveries online. If you would like more information about McMurrays Haulage Limited please visit www.mcmurrayshaulage.com or call 01254 237072.